I was so saddened by the death of Don and Lettie's newest grandchild a few months ago from SIDS.........that I was physically unable to put a notice on this website. I can't explain it, maybe it was the fact that I make so many smart alec comments....or that I concentrate on everything up beat I can find about about us old fogies, all of whom are on the fast track to "the home," and then shortly to the "Permanent Home," that maybe my heart was in denial. 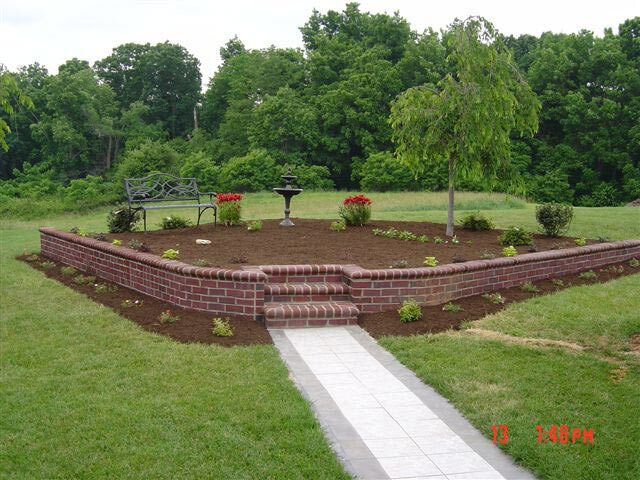 This is the memorial garden we built in our back yard , inspired by the death of Joseph. We still have a few more plants to plant, but it will be done. Donnie, Tommy and Stefanie came up and planted the flowers and put lights in the garden. 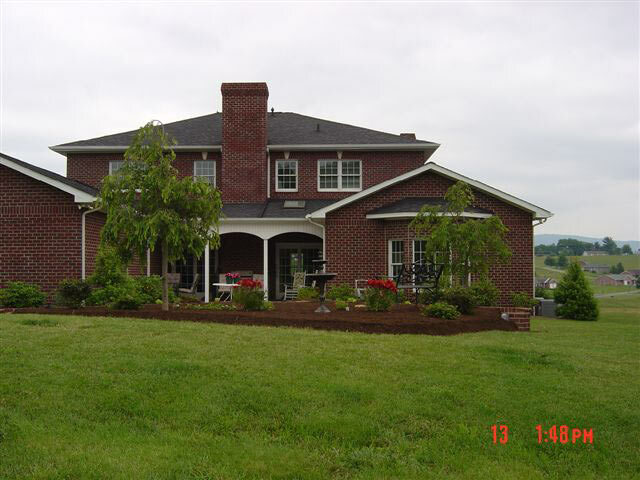 We plan to plant evergreens on our back property line for each of the grand children. At first it was to be three trees and now we have to plant five. We will plant them for Nathan, Joseph, Samuel, Gabriel to be born in September to Tommy and Stefanie, and one for baby Allbright to be born in Jan.2007 to Charlotte and Roth. A lot of wonderful events happening to the Nance family. Other information. Donnie has passed the North Carolina Electrical Contractor license. Patrick has established his own business as a home appraisal agent.